ZURICH (AP) — FIFA has ordered Bolivia to forfeit two World Cup qualifying matches for fielding an ineligible player, a ruling that improves Chile's qualification chances and harms Argentina's. 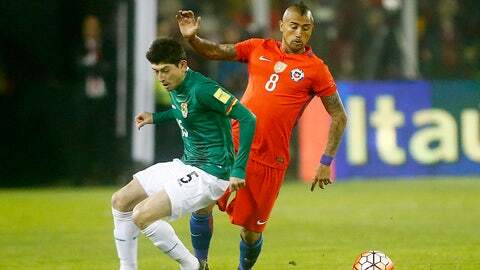 FIFA says Bolivia's 0-0 draw with Chile and 2-0 win over Peru in September are now 3-0 losses by default. Chile's two points lifts it level with Argentina on points and goal difference in fifth place in the South American qualifying group. The fifth-place team enters a playoff against a team from Oceania. FIFA received complaints from Chile and Peru about Paraguay-born defender Nelson Cabrera, who previously played for Paraguay's national team. Bolivia used the 33-year-old Cabrera as a late substitute in both disputed matches. Despite the FIFA investigation, Bolivia already had little chance of qualifying.